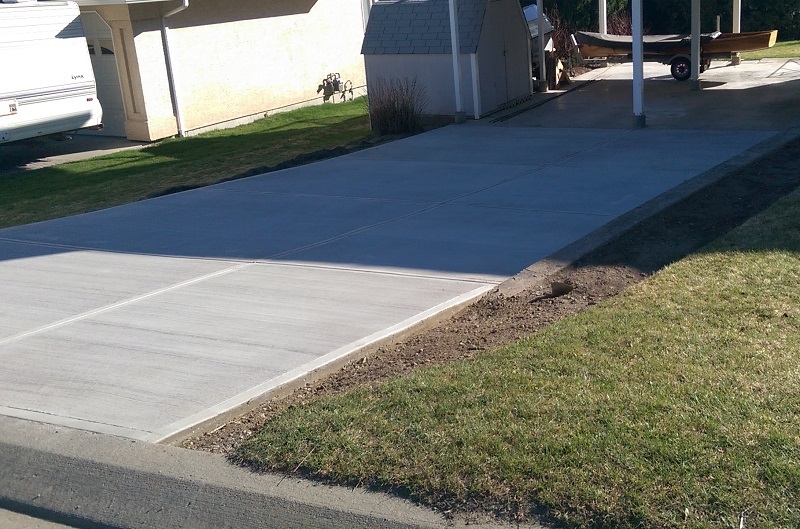 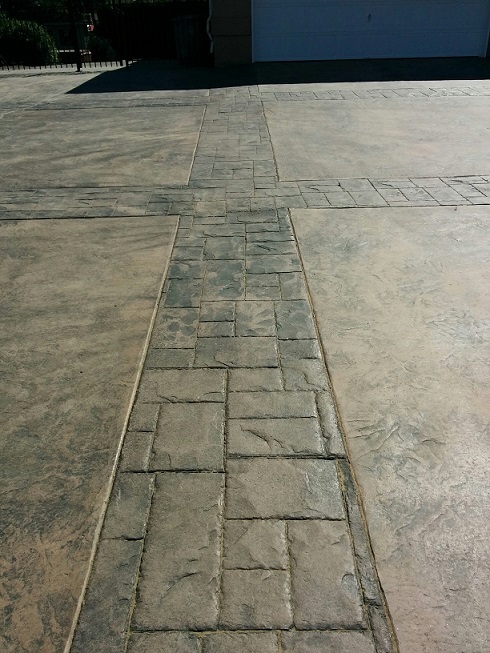 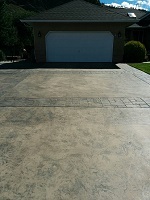 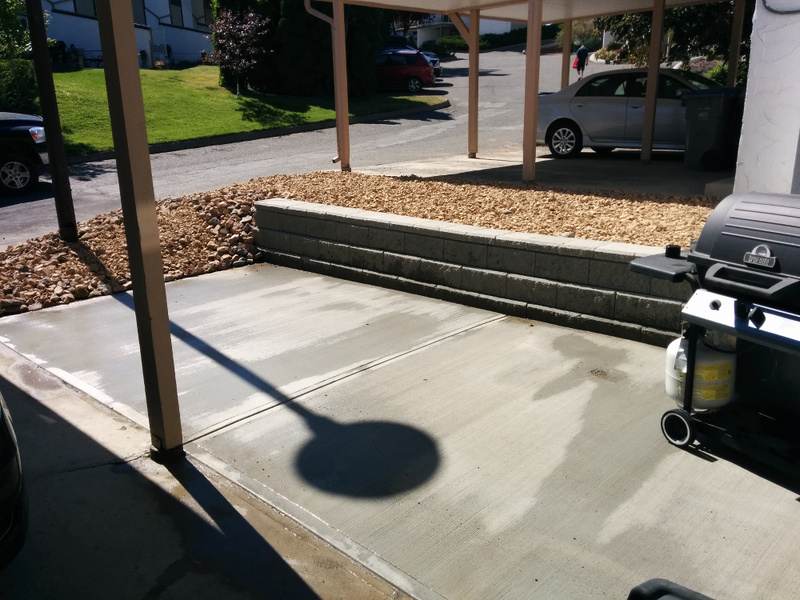 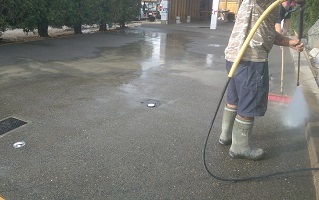 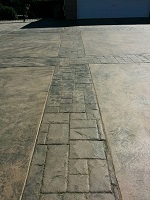 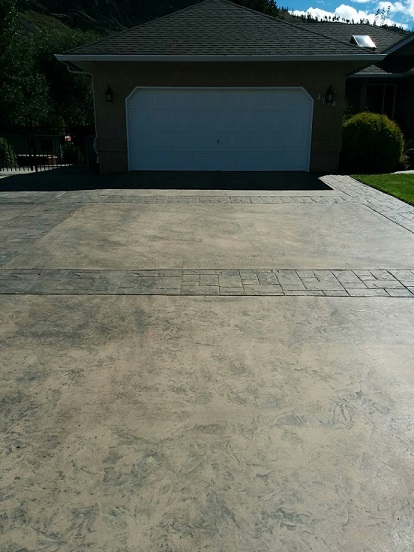 Have an ugly old concrete or asphalt driveway that's full of cracks and holes? Sidewalk falling apart from years of winter salt? 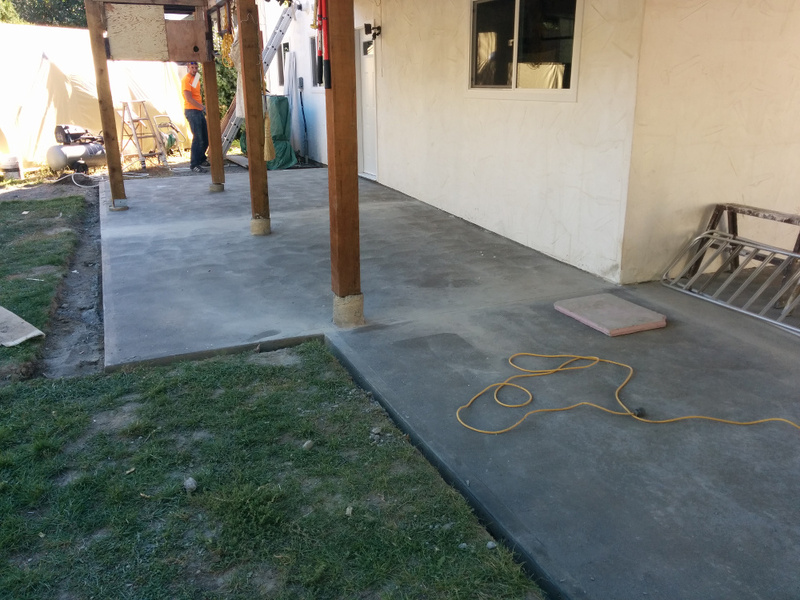 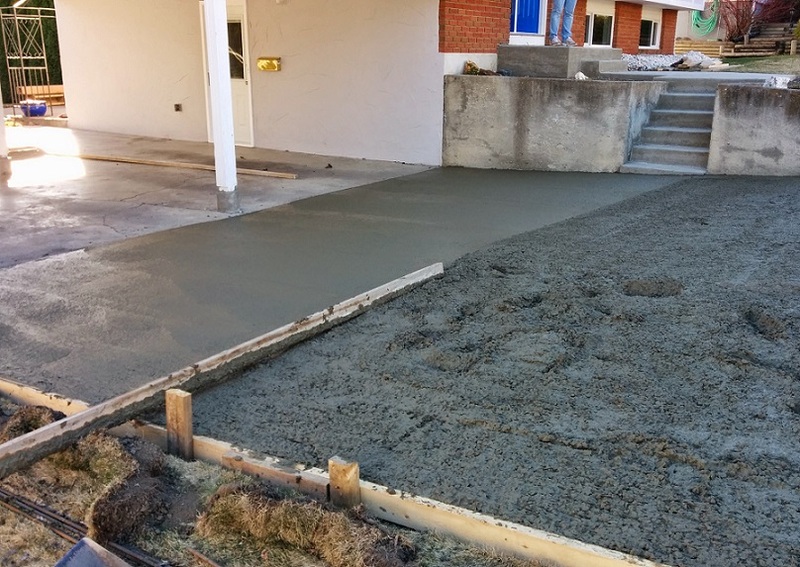 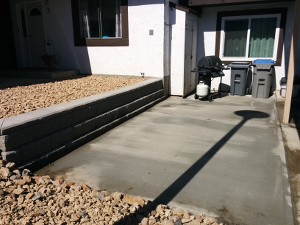 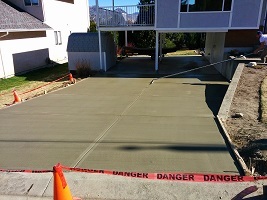 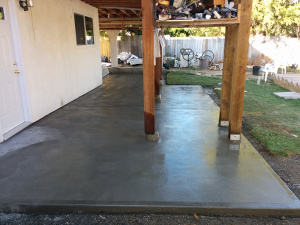 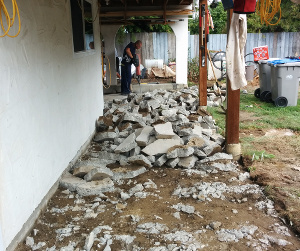 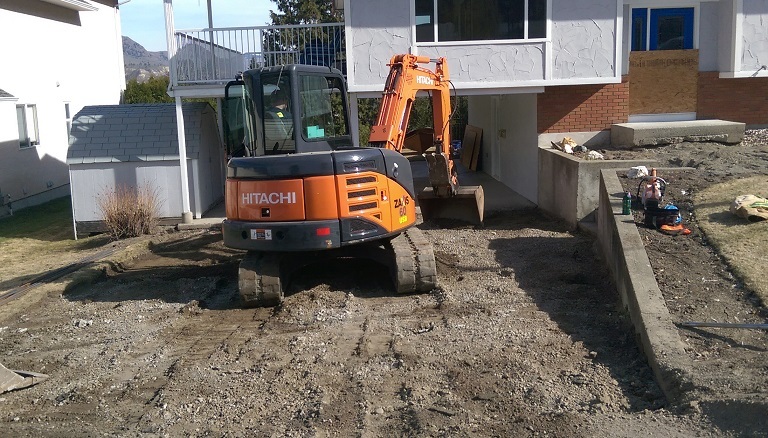 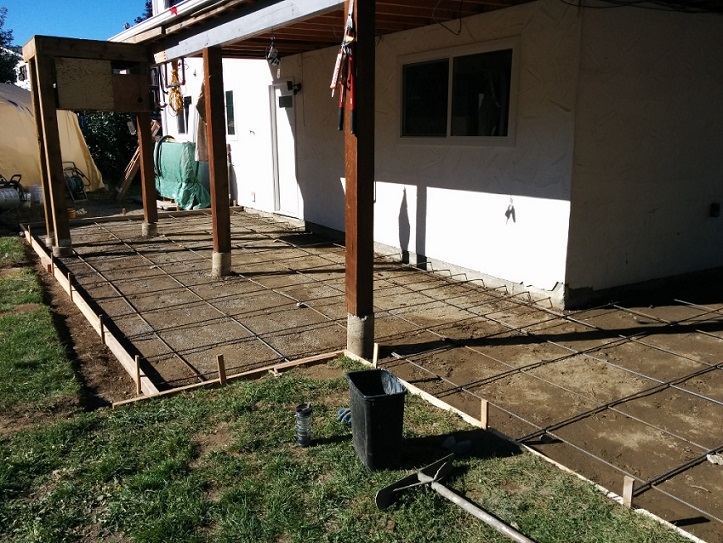 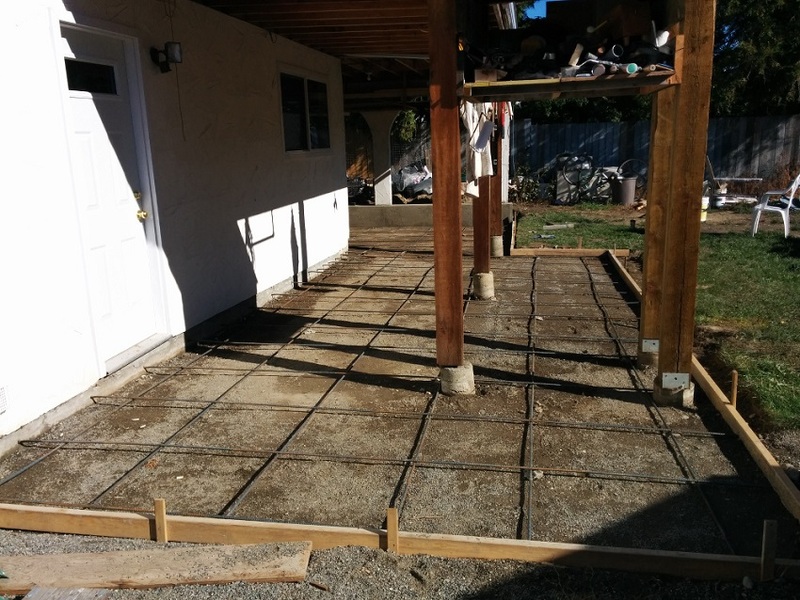 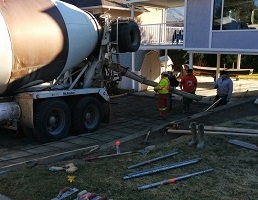 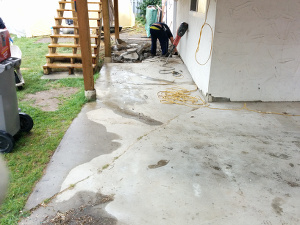 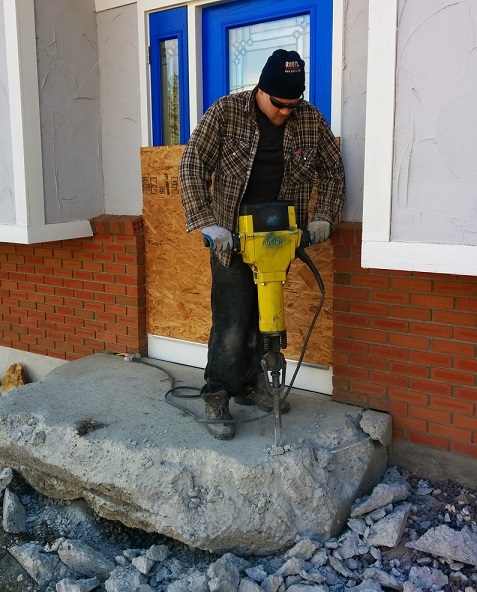 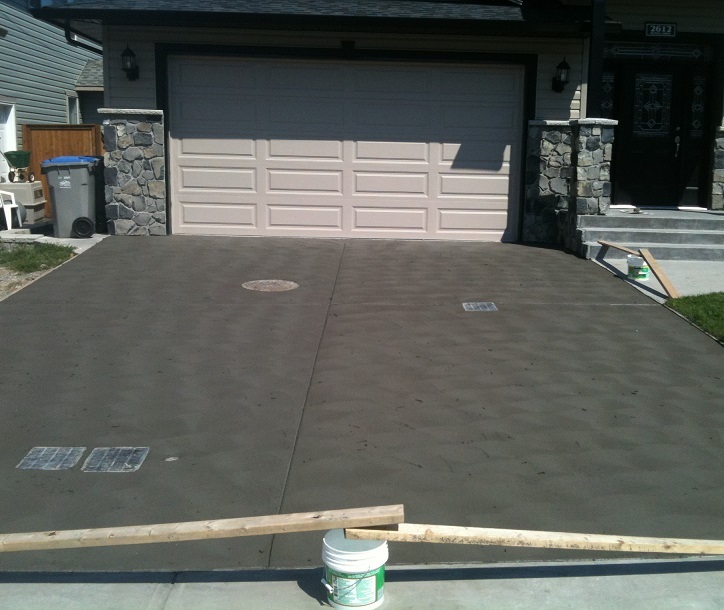 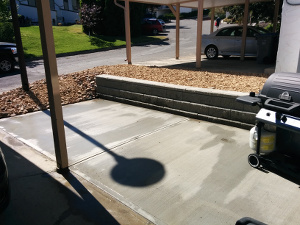 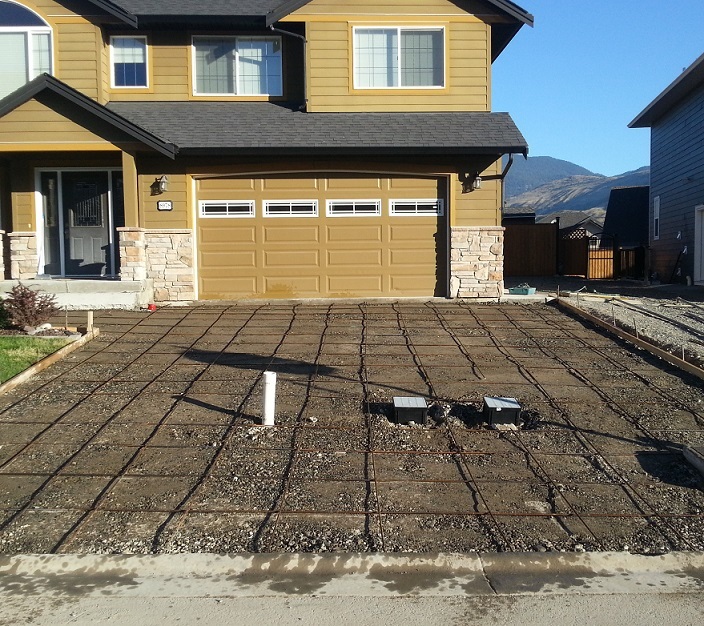 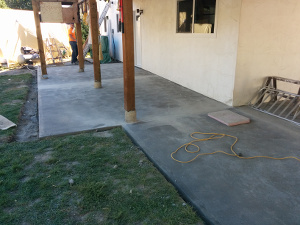 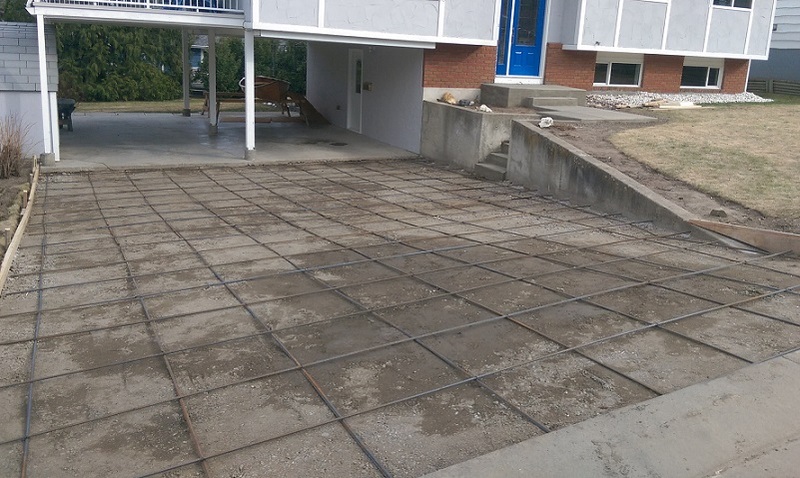 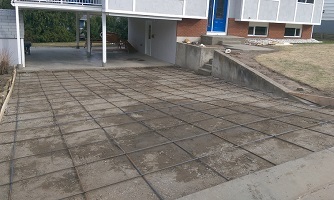 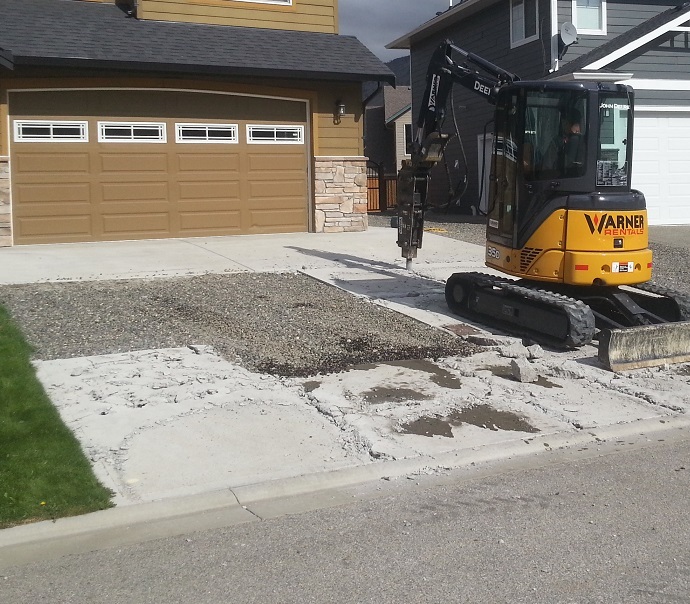 We have hundreds of hours of experience with jack hammering and concrete removal. 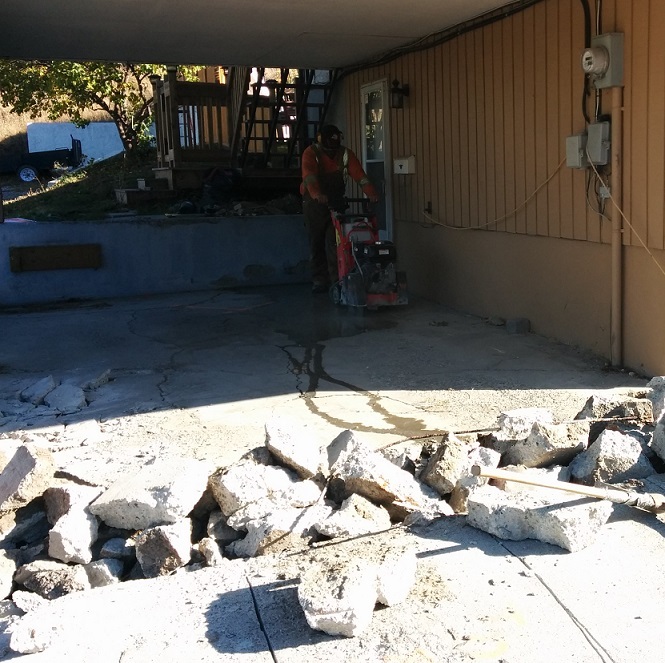 We'll do all the hard work for you, including hauling it away. 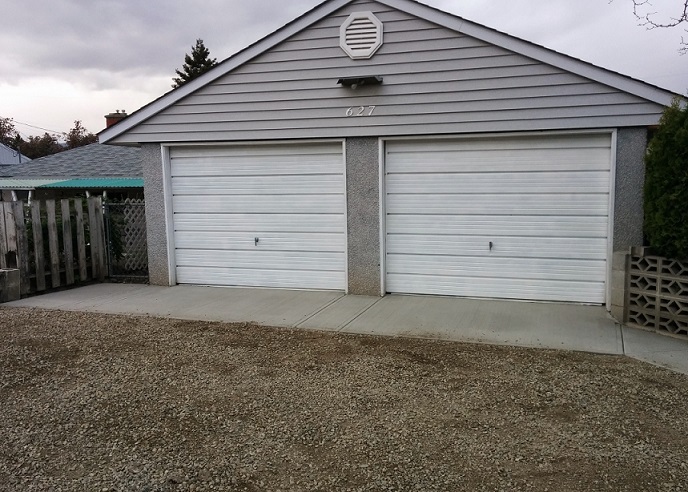 Building a new house and looking for that unique accent? 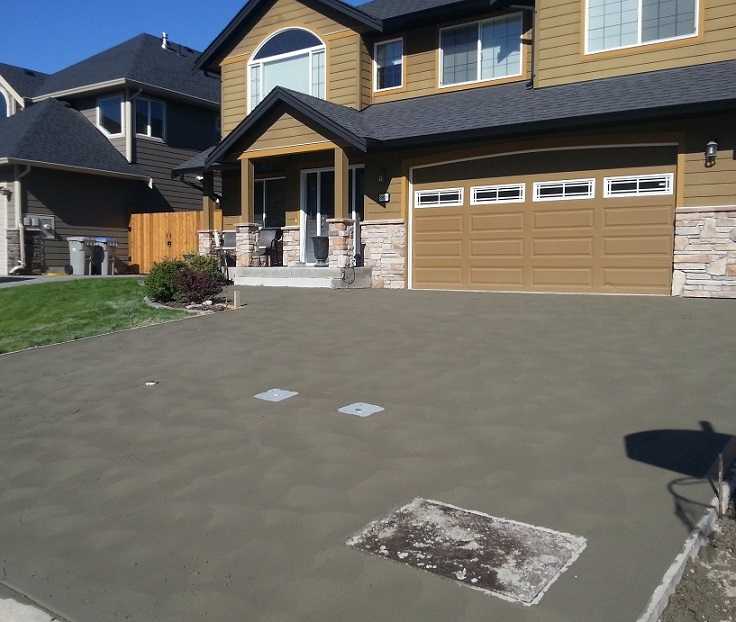 We specialize in custom forming, and offer a variety of finishing options including broom, sponge, exposed aggregate, and stamping patterns. 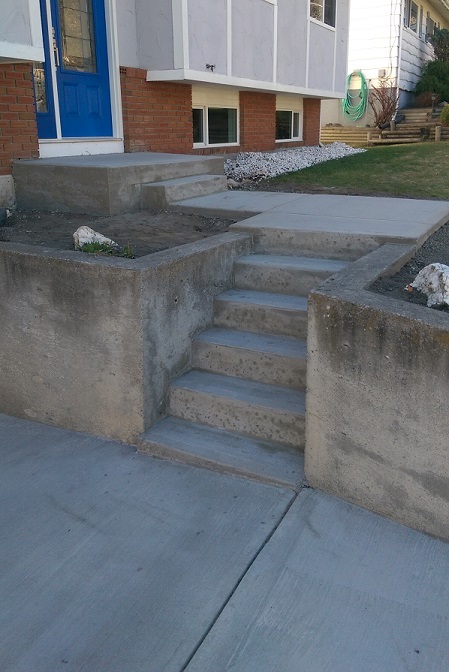 This project was a complete overhaul with sunken asphalt, crumbling stairs and an awkward landing. 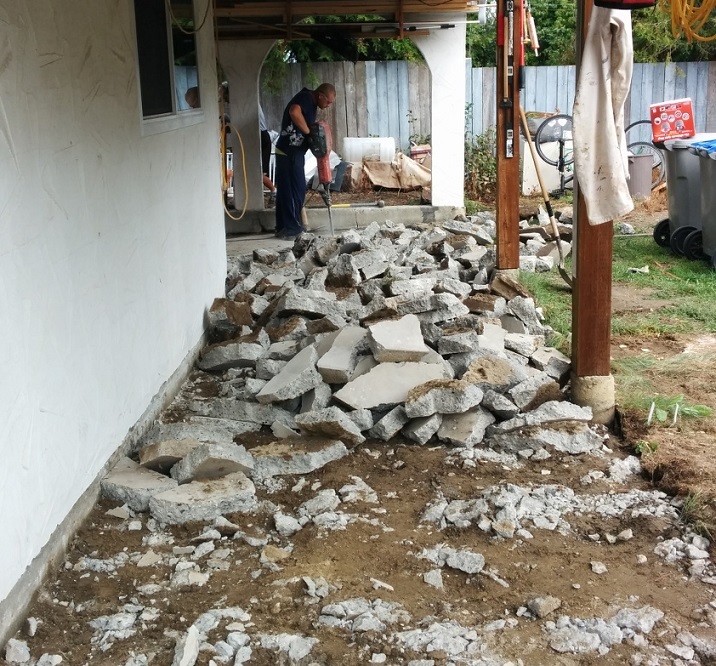 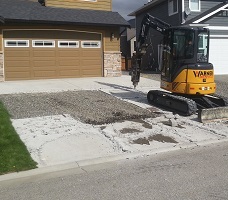 First we removed the old asphalt driveway. 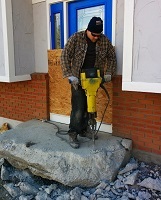 Then we capped the old stairs and the entrance landing, adding in an additional step at the front door. 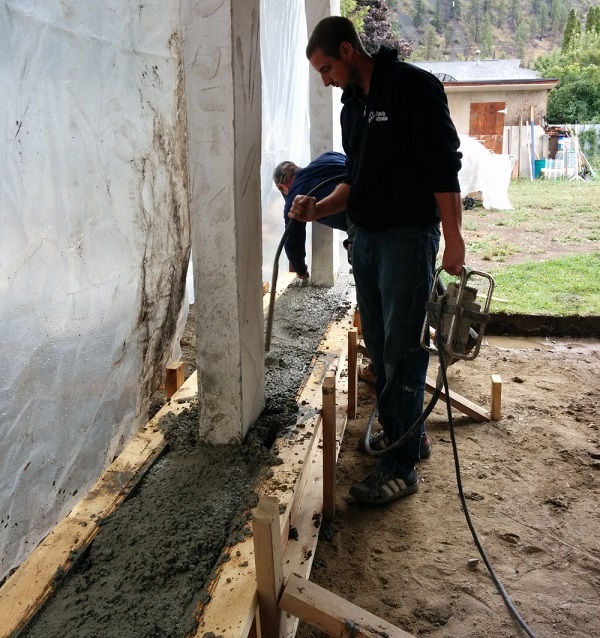 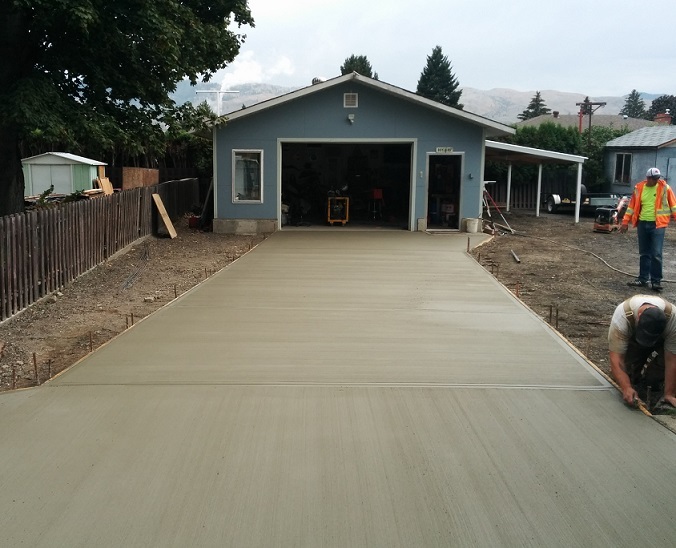 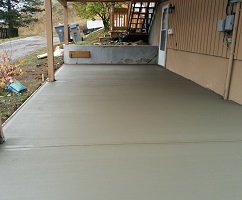 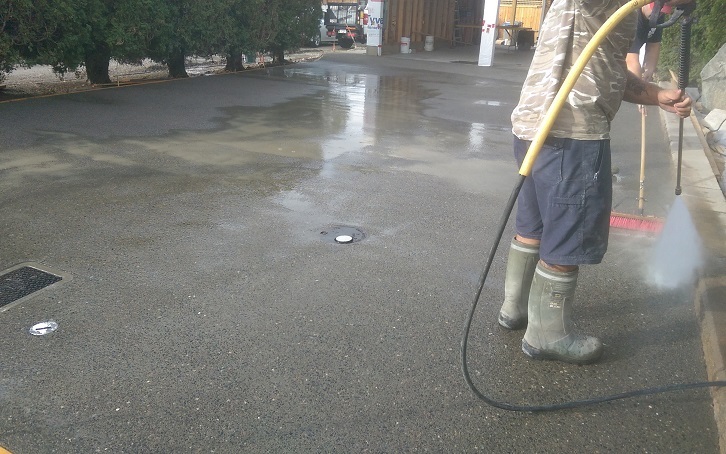 Finally, we poured the driveway. 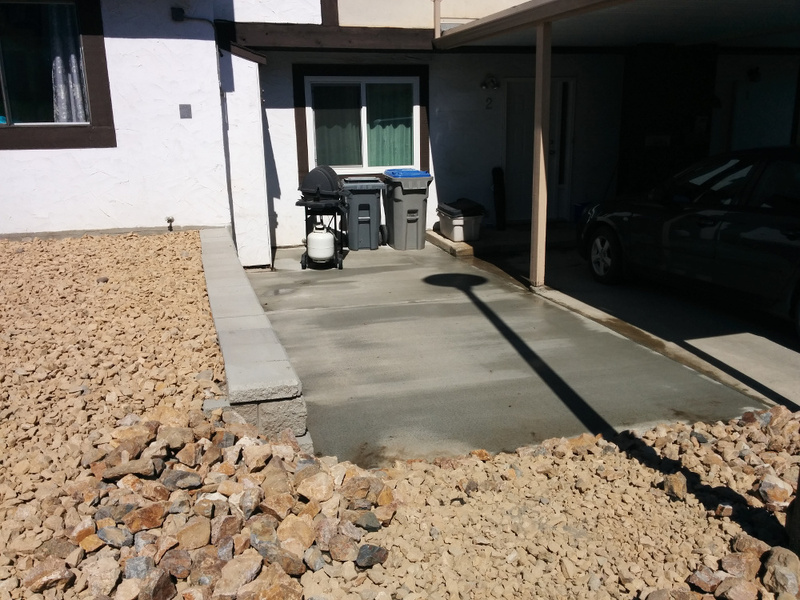 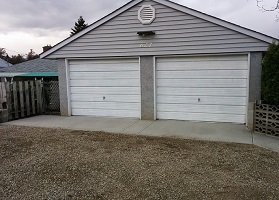 We completely rebuilt a customer's back entrance way to their house. 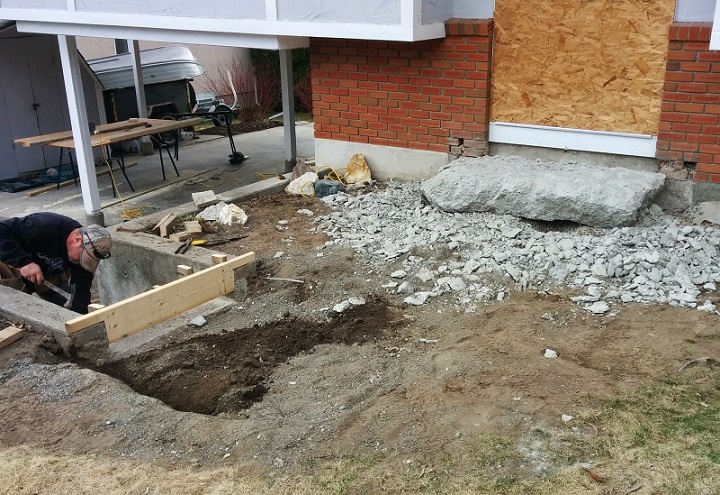 The carport had sunk several inches, the sidewalk wasn't safe, and the retaining wall was crumbling. 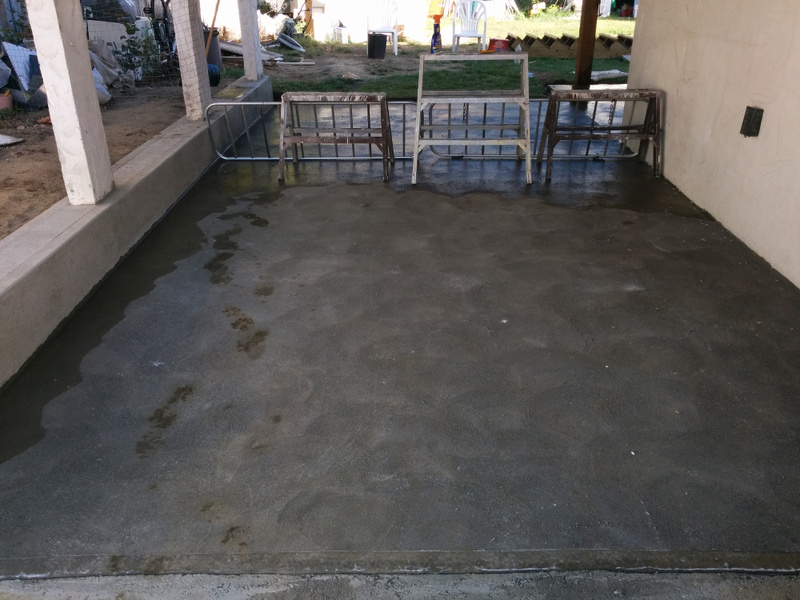 All the old concrete was removed, the wall was capped, and a sponge finish was applied for added traction. 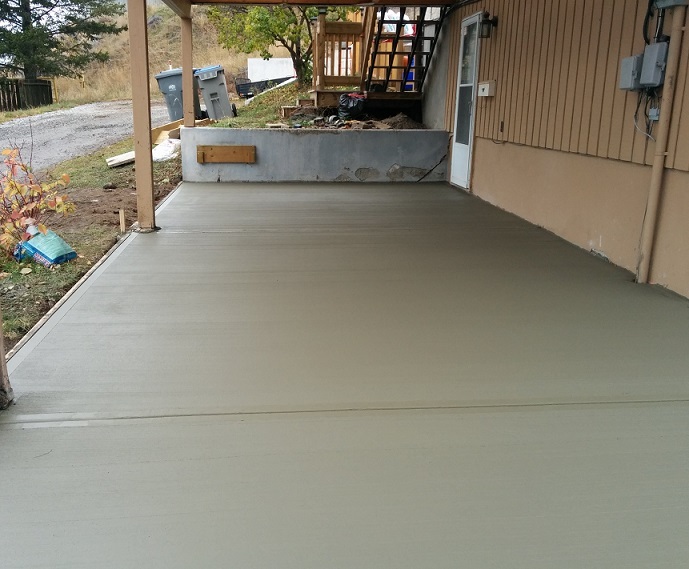 This project featured a classic broom finished carport expansion to double as a BBQ patio & storage pad. 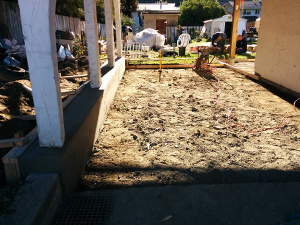 We dug back the hill, built an Allan Block retaining wall, and adjusted the landscape accordingly.